For my review, I chose the Turkey Sausage, Egg White, & Cheese Croissant. The product can be found in the grocer’s freezer at your local Wal-Mart, and a package of 4 sandwiches sells for around $4.97. Doesn’t it look delicious? 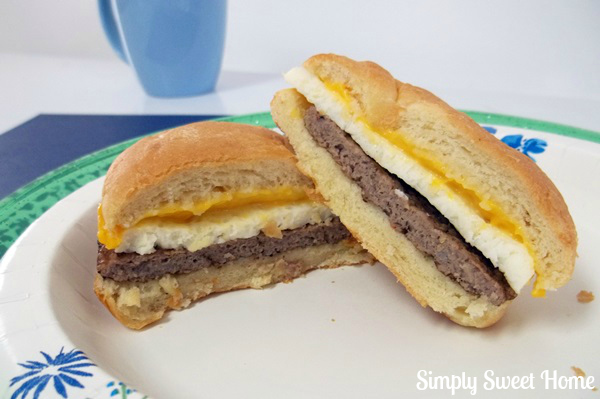 Your family will love the Turkey Sausage, Egg White, & Cheese Croissant, because it tastes and with its thick layers, is a great portion size to get them full and energized in the morning. You’ll love it because it’s not only a low-calorie option but also a great source of protein for your family. 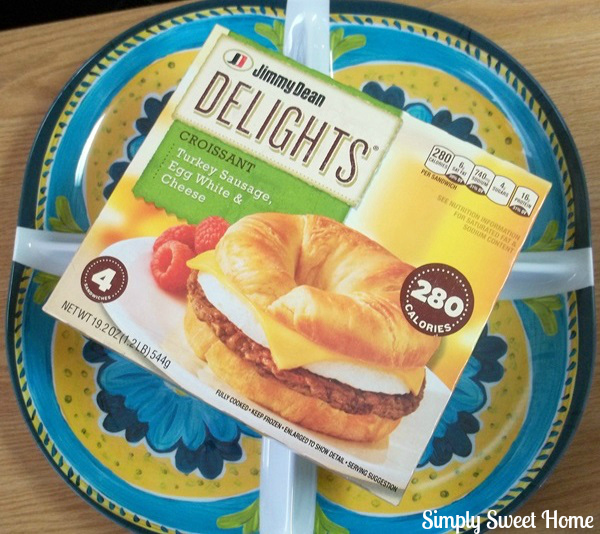 And it takes only 2 minutes to go from freezer to table, making it a fast and convenient option for busy moms and dads. 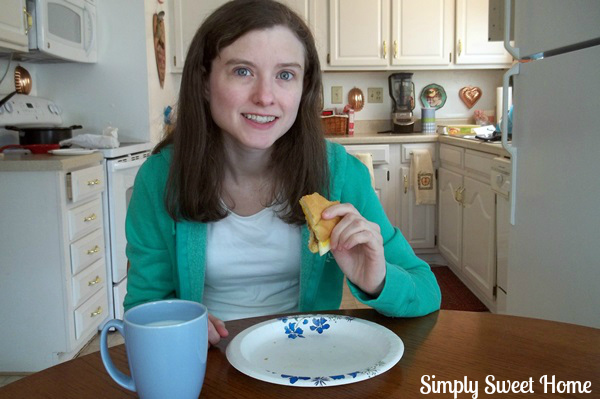 I don’t know about you, but if I eat breakfast before leaving the house, I’m usually in a hurry, and if you’re getting kids ready for school, you’re in an even bigger hurry. 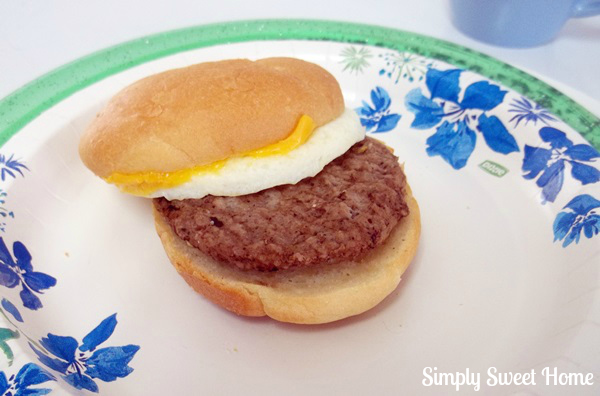 It’s hard enough to get kids to wake up and get them ready school, let alone get them to eat breakfast, so any shortcut or time saver you can find is a huge life saver! 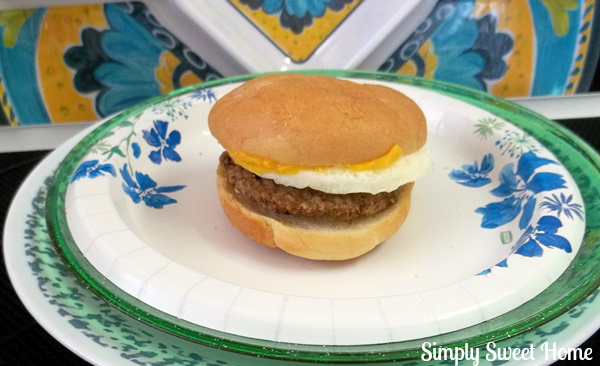 What else can you do to help your family eat a more healthy breakfast? Serve milk for a source of calcium and vitamin D.
Serve fruit or juice as a source of vitamin C and carbohydrates. Serve whole grain breads and cereals as a source of carbohydrates. 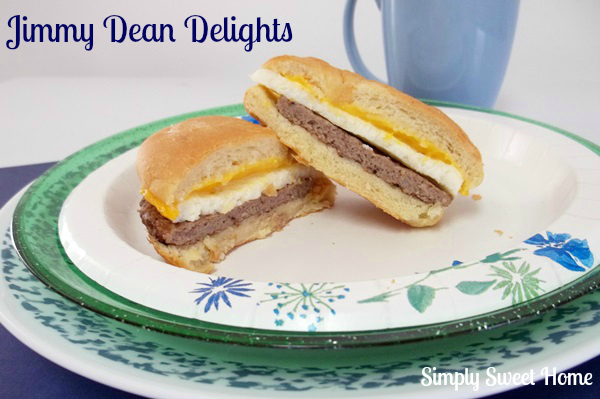 Check your local Wal-Mart store for Jimmy Dean Delights and other Jimmy Dean breakfast products.